As an expert in plant metabolomics and functional genomics, Kazuki has contributed to a number of journals, conferences, and advisory boards. 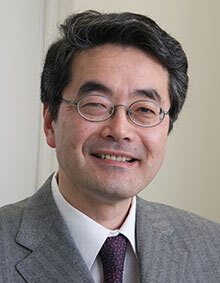 He was awarded the Prize for Science and Technology (Research Category) by the Minister of Education, Culture, Sports, Science and Technology, Japan, in 2010, and named a highly cited researcher by Thomson Reuters in 2014 in the Plant and Animal Science field. 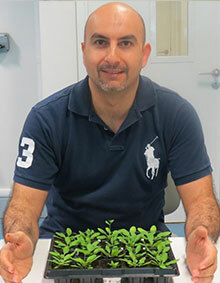 Having earned a PhD from the Department of Botany and Plant Pathology at Purdue University, Synan AbuQamar is now based at the United Arab Emirates University (UAEU), Department of Biology, as an associate professor in the area of plant molecular genetics and plant biotechnology. Synan’s research focuses on functional genomics of plant defense responses to necrotrophic fungi and cross-talk between signal transduction pathways in response to biotic and abiotic stresses. He has authored a number of scientific articles and has recently been recognized by UAEU for his achievement in publication in the top 10% of journals in 2013. Synan is an editorial member and expert reviewer for several reputable journals. He is also a member of the scientific board of Khalifa Center for Biotechnology and Genetic Engineering and serves on the technical committee of the Abu Dhabi Plant Genetic Resources Centre. John Ralph received his BSc (Hons) in chemistry at Canterbury University, NZ, and his PhD in chemistry/forestry at the University of Wisconsin–Madison. After serving as a research scientist for the Forest Research Institute in Rotorua, NZ, he became scientific head of the Research Laboratory for Nuclear Magnetic Resonance Spectroscopy in Chemistry at the University of California, Berkeley. John has been a research chemist with the USDA-ARS U.S. Dairy Forage Research Center in Madison, Wisconsin, with joint appointments in the Departments of Forestry and Biological Systems Engineering at the University of Wisconsin. Some seven years ago, he was appointed professor in the Department of Biochemistry at the university. 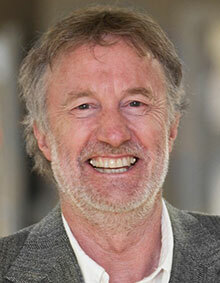 He currently serves on the editorial boards for the journals BioEnergy Research, J. Wood Chemistry and Technology, Holzforschung, and Journal of Science of Food and Agriculture. His research group is recognized for its highly collaborative work on lignin biosynthesis, including delineation of the pathways of monolignol synthesis, lignin chemistry, and lignin reactions. The group has also defined the chemical effects of perturbing lignin biosynthesis, and extensions of this work are aimed at redesigning lignins to be more readily degraded. For example, imbuing lignin with readily cleavable ester bonds in its backbone by lignifying using monolignol ferulate conjugates is looking particularly promising for developing plants with ‘lignins designed for deconstruction’ to simplify pulping and the conversion of lignocellulosics to liquid biofuels. Ralph was recognized by the Institute for Scientific Information as a highly cited author in the field of agricultural science. He is an elected fellow of AAAS. 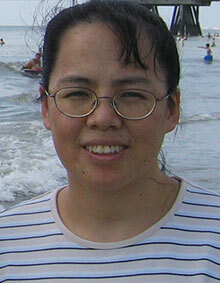 Ruiqin Zhong is a senior research manager in Department of Plant Biology, University of Georgia. She earned her MS degree in molecular cell biology from School of Medicine, Washington University, working on the cellular basis of angiogenesis in human cells. In the past two decades, she has been working on the molecular mechanisms underlying plant vascular development and secondary wall biosynthesis and published over 70 research articles. Ruiqin is a highly cited researcher selected by Thomson Reuters (ranking among the top 1% most cited for their subject field [Plant and Animal Science] and year of publication [2002-2012]).